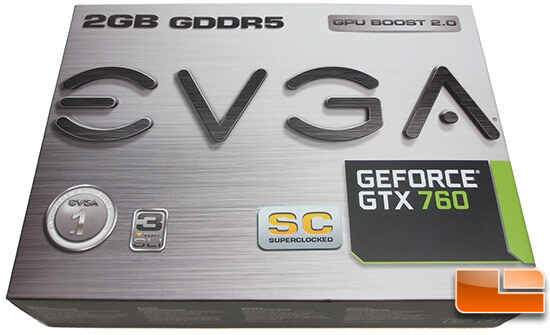 The EVGA GeForce GTX 760 2GB Superclocked with ACX Cooling video card comes in a fairly plain Jane retail box. 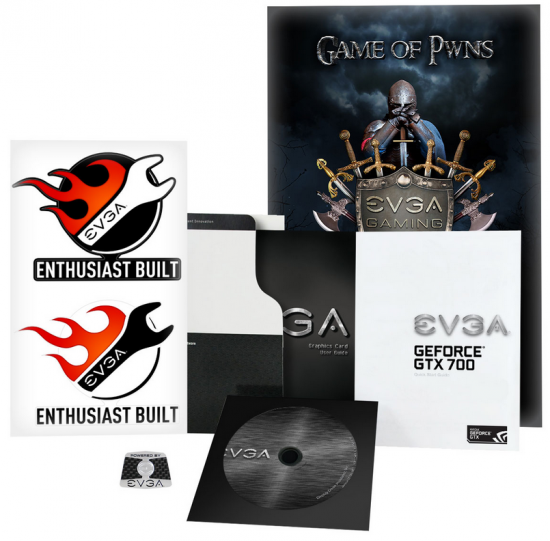 Inside the retail box you’ll discover the Quick Installation Guide, Driver DVD, EVGA Gaming Poster, EVGA Case Badge, EVGA stickers and a note about PCIE 3.0 compatibility. You also get several adapters that might make life a bit easier for some. 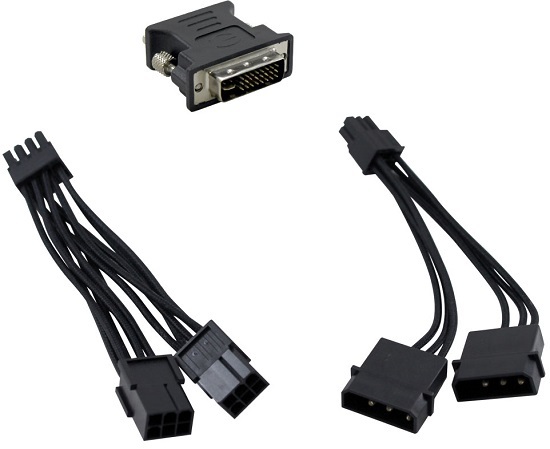 Included are a DVI-to-VGA video adapter and a dual-6-pin to single 8-pin adapters and a dual 4-pin Molex to 6-pin Power Adapter. There should be a reason that you can’t get this card running out of the box as long as you have a power supply that can handle it. EVGA recommends a 500W or greater power supply with at least a 30 Amp rating on the +12V rail for proper operation of the EVGA GeForce GTX 760 Superclocked with ACX cooling graphics card.